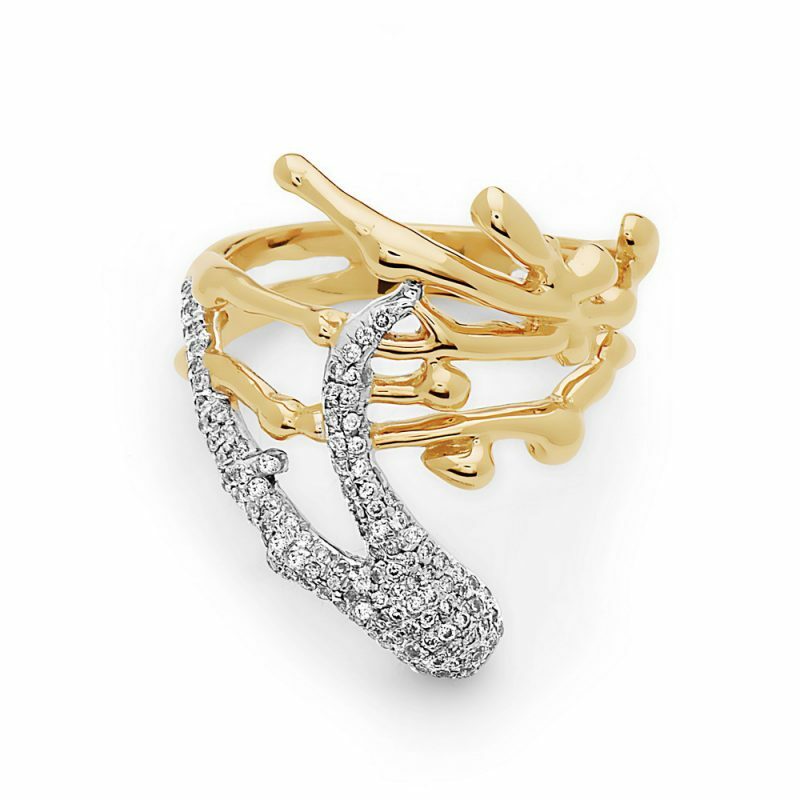 The Feature Splatter Ring features white diamonds in 18kt yellow gold. Part of the Splatter collection by Swati Dhanak. Swati Dhanak is Dubai-born fine jewellery designer based in New York. With her pioneering designs inspired by geometry and asymmetry, Swati Dhanak creates refreshingly modern gold and diamond pieces exquisitely crafted, pushing the boundaries of fine jewellery.